A light day moisturiser to protect and tone your skin. Beautiful skin starts with cleansing, protecting and nourishing; our skin needs defending from the effects of pollution, the sun and the dry conditions we live in. Help restore your skin’s moisture with this wonderfully light day cream to compliment and perfect any skincare regime, as it both refreshes and tones the skin. Organic plant-based moisturisers are fantastic for your skin, providing just the right levels of defence and nourishment skin needs; they penetrate the surface, hydrating deep down for lasting protection. Quince Wax creates a durable layer to prevent moisture loss, whilst still allowing the skin to breathe; this is combined with Quince Seed extract, healing Jojoba, Apricot and super-nourishing Avocado to tone and firm the skin. Ideal Skin: Perfect for normal skin. 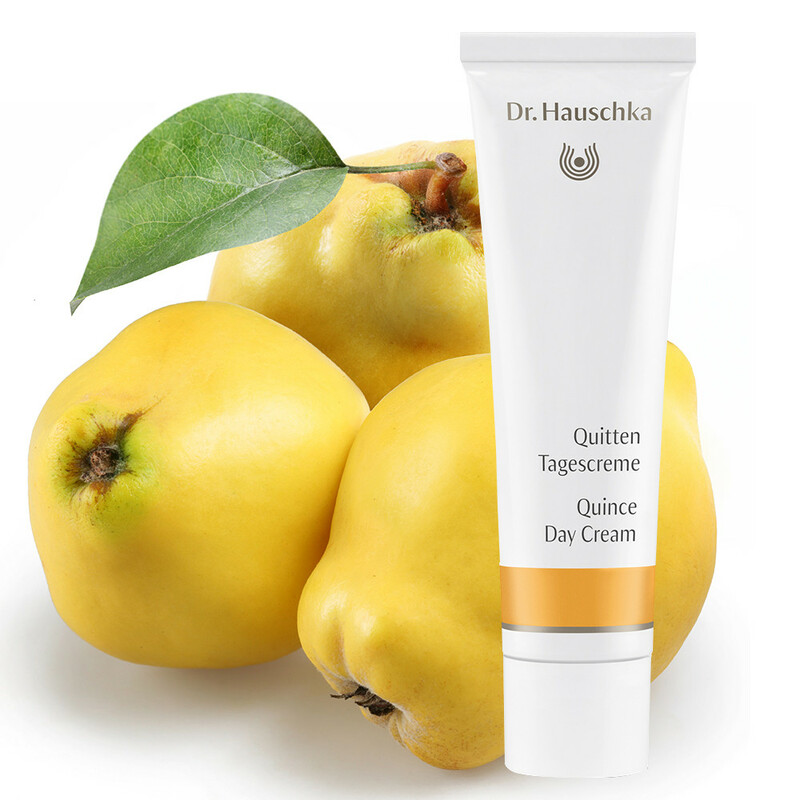 Application: Apply Quince Day Cream after cleansing and toning your face in the morning, apply a small amount evenly to face, neck and décolleté. This is a great primer before applying make-up. Tip: When the weather turns colder skin can need extra hydration, Revitalising Day Cream can be used underneath Quince Day Cream for an added boost. Matching Products: Hydrating Cream Mask as the ideal complementary product. Its precious plant oils and waxes noticeably care for the skin, leaving it feeling super soft.